Stop diarrhea or halve the recovery time, by knowing what to eat and what to avoid. From time to time, every one of us will encounter diarrhea. This is our body’s natural way of ridding itself of toxins and unclean foreign substance that cause irritation and inflammation in the intestines. Our intestines secrete extra fluids to dispel these foreign stuff, resulting in stomach cramps and loose, watery stools that is diarrhea. An occasional diarrhea is not serious, but if it occurs more than two days, see the doctor at once to prevent dehydration. More importantly, to rule out a more serious under-lying medical problem. The foods you eat when you have diarrhea can prolong or shorten the duration of your diarrhea. Eat the right stuff and it will halve the recovery time. The most common causes of diarrhea are gastrointestinal bacterial, viral and parasitic infections. Other causes are diseases such as diabetes, Crohn’s disease, ulcerative colitis, irritable bowel syndrome, diverticulitis and HIV. 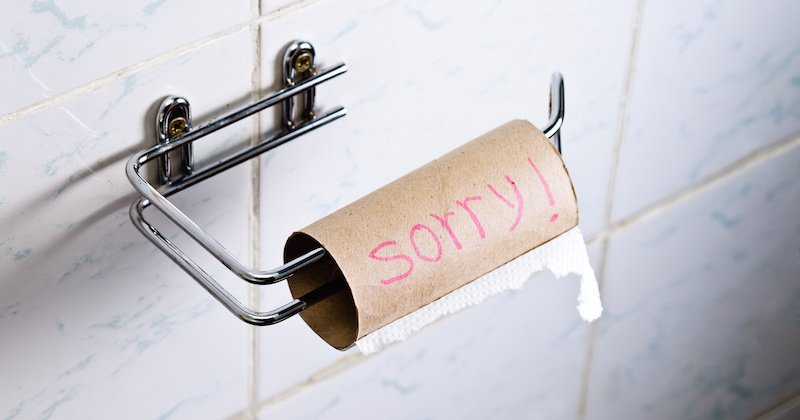 Allergies and food sensitivities can also trigger diarrhea. Two main culprit of diarrhea are very often, sugar and milk. Sugar contains a substance called “sorbitol”, a natural sugar substitute that can also be found in fruits, especially in apples, cherries, pears and plums. Most adults are (cow’s) milk intolerant. Milk is a common cause of diarrhea for people of all ages, including infants. The inability to digest milk sugar (lactose) and the pathogens and allergens in milk, the offending substances, are to be avoided. Most people don’t eat when they have diarrhea, to “let the bowel rest”. Don’t!! It is important to continue eating, and eat the right food. And what are the right foods? The best cure for diarrhea is not ‘clear liquids’ (e.g. chicken broth) as is often recommended, but starchy ‘cloudy’ fluids. Some examples are rice porridge (congee), carrot/pumpkin soups, coconut water or unsweetened baby rice cereal with a pinch of salt. Eat frequently, and slowly. Do not gulp during this time of distress as it may complicate matters by causing nausea. Avoid anything with sugar, including fruit juices! Other foods that can aggravate diarrhea: beans, cabbage, onions, some vegetables, whole grain cereals, dairy products (except yogurt), caffeine and diluted soups. One other healthful food you should take during this time is yogurt. Yogurt is especially effective in stopping or lessening diarrhea (but not for infants). The active beneficial bacteria such as lactobacillus, acidophilus, bifidus and bulgaricus, produces an antimicrobial substance that kills or stops the bad bacteria from multiplying. When you have diarrhea, fruit juices are generally not recommended, except for the few suggested above. Carrot juices is very mild and calming to the stomach, making it suitable for consumption when you have diarrhea. The alkaline minerals, calcium and magnesium in carrots help soothe and tone the intestinal walls. Root vegetable juices are very healing for diarrhea as well as they have antiseptic properties that are necessary for calming the digestive system. Raw juices of lotusroots, jicama, fennel and celeriac are all beneficial for consumption during this time. Be sure to remove skins to prevent juice contamination. Eat bananas for its calming effect on the stomach. It normalizes colonic functions in the large intestine by absorbing water during diarrhea, and helps regulate proper bowel movements. The sodium in celery has a high concentration of organic alkaline minerals and is calming to the digestive system during diarrhea. It also helps to replace the lost minerals through repeated diarrhea. As in constipation, spinach juice cleans the digestive tract by removing the toxins and nourishes the intestines and tone up its functions, an excellent food during diarrhea. Cranberries and blueberries are useful to help control and relieve diarrhea caused by alteration in the intestinal flora which allows E. coli bacteria to grow. The anti-diarrheal effect of cranberry juice is due to its antiseptic properties, as well as to its content in tannins and anthocyanins which prevent the bacteria from adhering to the intestinal walls and then grow and proliferate. Ginger is antiseptic and may help remove offending bacteria that are causing the diarrhea. Put a small slice in the recommended juice for that added medicinal virtues.